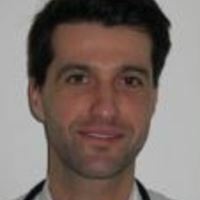 Roel De Smet attained his degree as MD in 2010 at Ghent University. Afterwards he completed a 6 year training in Emergency Medicine at the University Hospital of Ghent, AZ Nikolaas Sint Niklaas, ZNA Middelheim Antwerp, ZNA Jan Palfijn Antwerp and AZ St Lucas Hospital Ghent. He graduated in 2016. He started a postgraduate training in disaster management in 2019. Currently he works in the emergency department at AZ St Lucas Hospital Ghent. He has special interests in trauma patients, prehospital care, the use of ultrasonography in the emergency department and disaster management. He lives in the Ghent area with his girlfriend and his main hobbies are triathlon and playing football.